Photos of old Helsinki ships, shores and yachts in color - Sail in Finland! 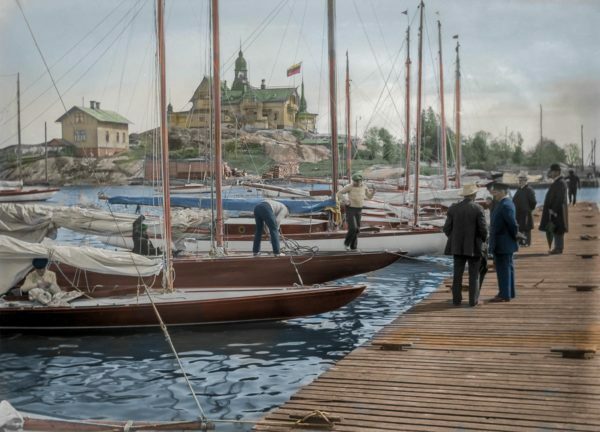 With its long coast and thousands of lakes and islands, sailing and boating have always been very important in Finland and very much so also in Helsinki, the capital of Finland. 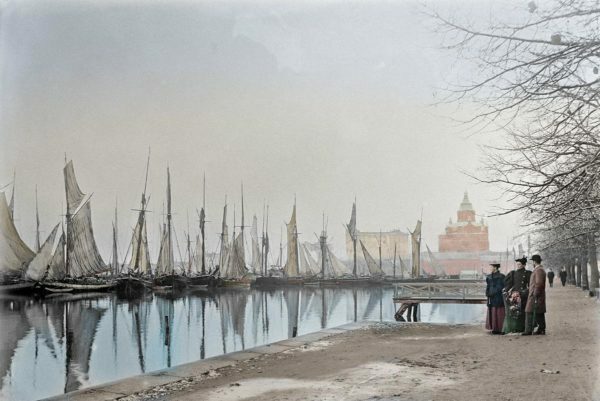 Helsinki was a small coastal and garrison town up until 1812, when the Russian czar decided to move the capital of the Finnish Grand Duchy from Turku to Helsinki (Finland became a part of Russia in 1809). 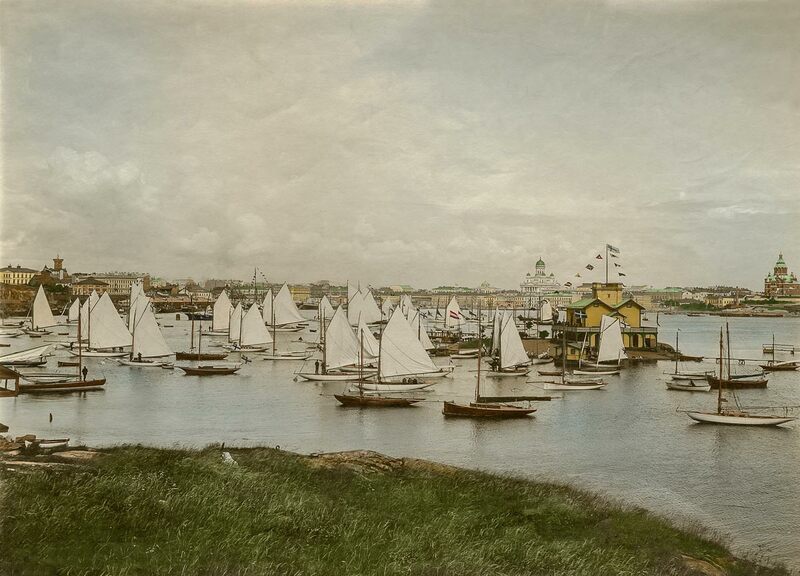 This started the growth and development of the city which by 1910 had reached 100’000 inhabitants. Traditional small craft were common among the city dwellers and boats filled the city shores. 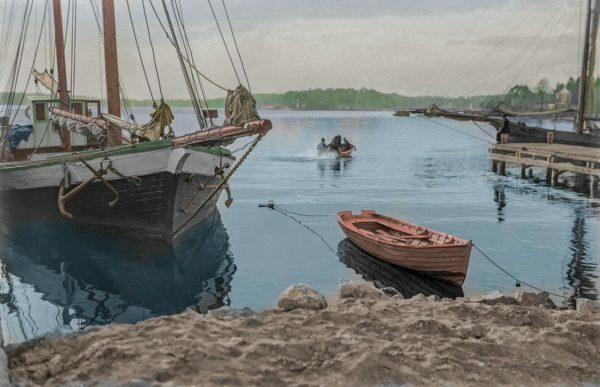 Helsinki was also an important port for people living along the southern coast and on the islands: fish, firewood and many other products were shipped to Helsinki on mostly wooden sailing boats. 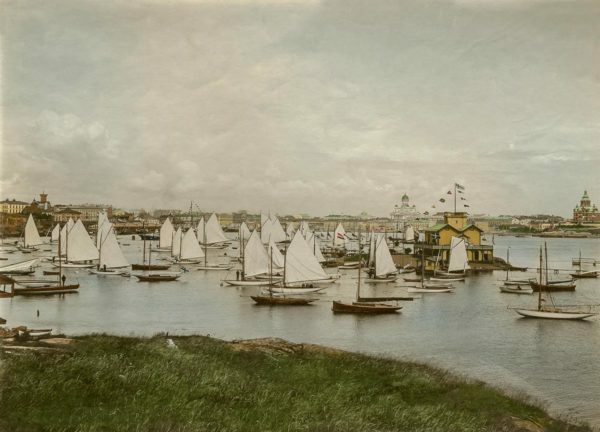 The city was also an industrial center with a growing commercial harbor and many boatyards. 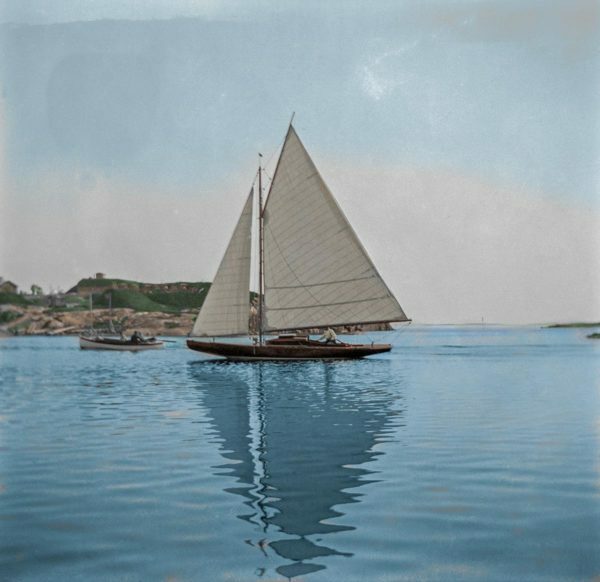 Sailing as a sport was introduced in Finland in the mid-19th century and Helsinki got its first yacht club, Nyländska Jaktklubben (NJK) in 1861. 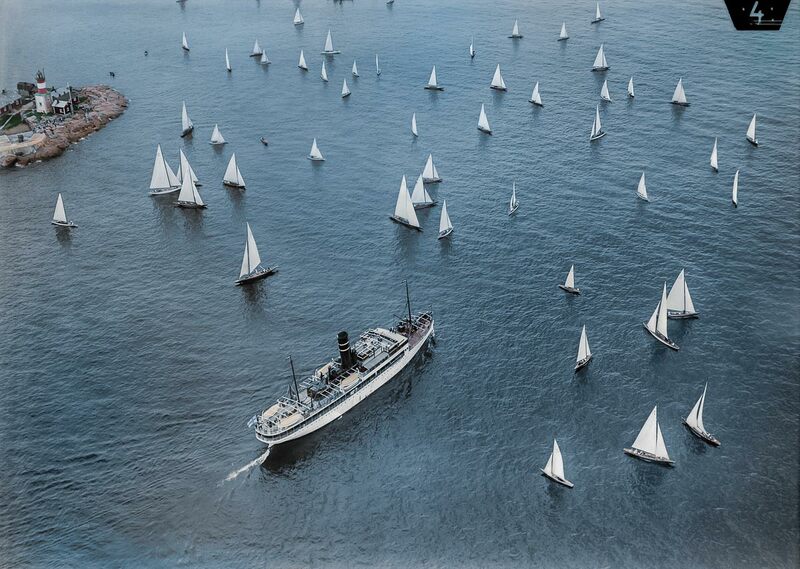 Yachting and yacht racing soon became very popular with the Helsinki bourgeoisie and co-operation with in particular Sweden was intense. 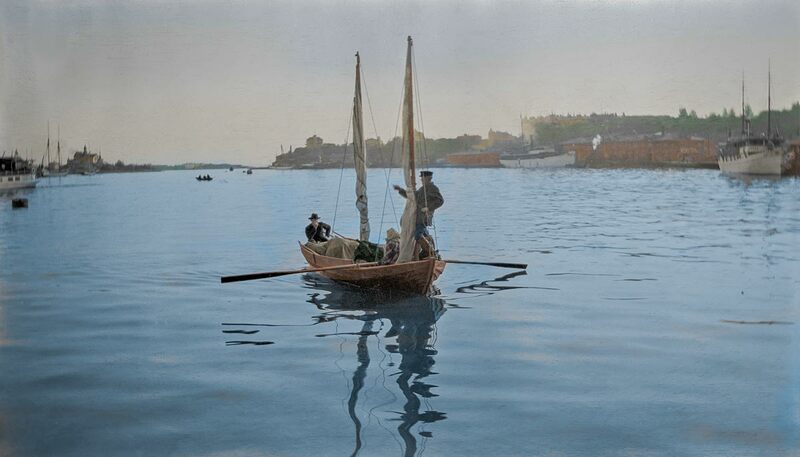 As a result, in the late 19th and early 20th century, Helsinki provided an interesting blend of all types of boating and sailing. Photographs from this time illustrate just how connected to the sea the city was. Now you have a unique opportunity to catch a glimpse of boats and boating in Helsinki from around the turn of the 20th century. 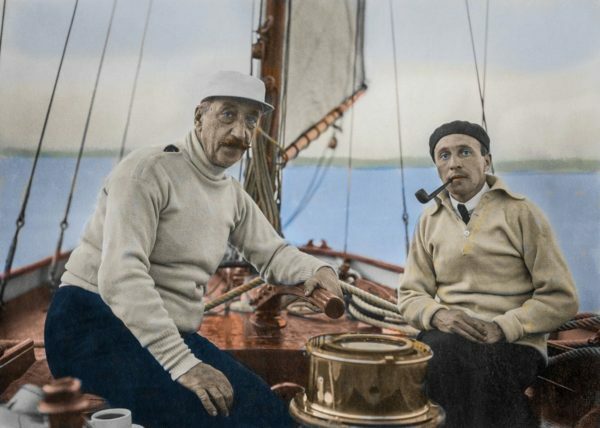 Retired Finnish diplomat Frank Hellsten, now living in Sweden, has done a fantastic job in first selecting boating related old photos from the Helsinki City Museum open photo archives and then bringing them to life by carefully colorizing them. Thanks to Frank’s work you can admire old boats, ships and shores of Helsinki in full color like never before. Click on the images for a bigger version. If you liked these pictures, you can find more on Facebook. 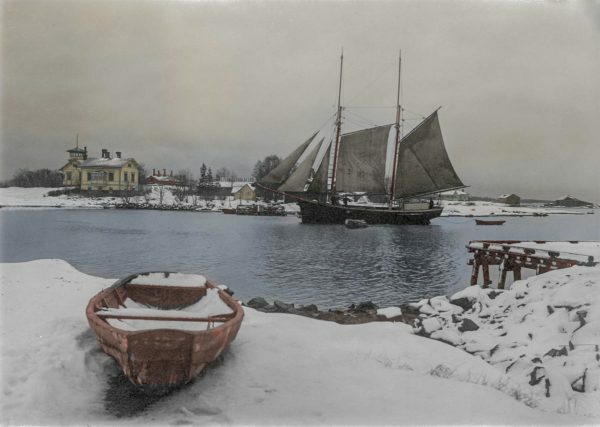 Frank regularly publishes new pictures in the Swedish Facebook group “Vi som älskar tråbåtar” so do head over there and check out more of his awesome work! 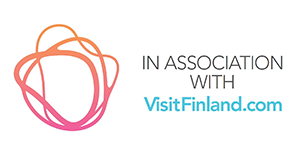 There is also a short interview with Frank on Sail in Finland. 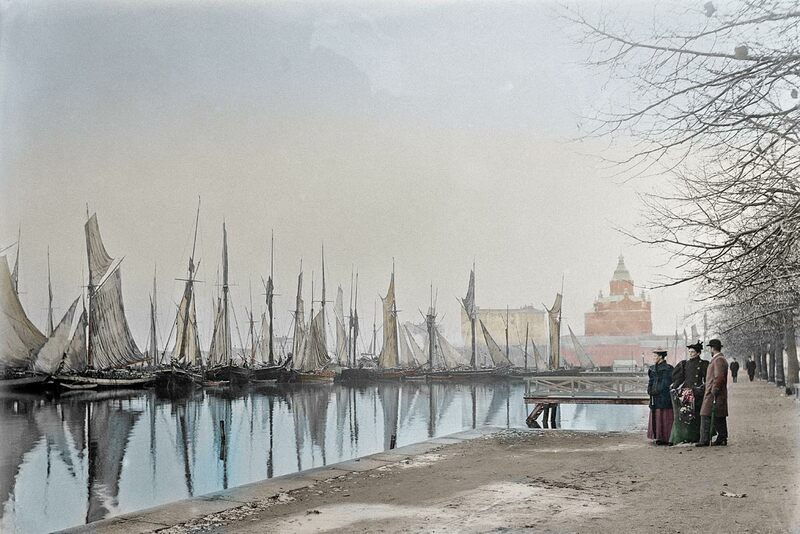 All originals from the Helsinki city museum collections, collection IDs in parentheses. Licensed under CC BY 4.0. Colorization by Frank Hellsten. Annotations and part of the commentary by the editor.